​Craftworks Studio has been in operation for over 16 years, and during that time has provided a place for children and adults to paint their own pottery. Martin and Vivian provide advice and can demonstrate a variety of techniques for guests to express their creativity. Over the years we have been proud to see many young visitors go on to pursue their own artistic careers. 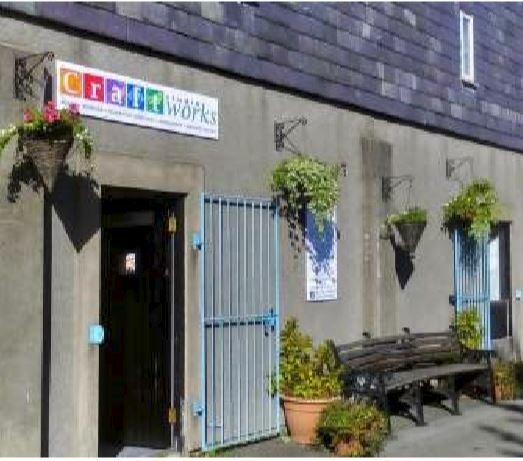 The Craftworks Studio team are delighted to be able to take part again in the Arts Festival this year and look forward to welcoming guests old and new to their bigger, brighter and better studio at Qualtrough's timber yard in Castletown on Hope Street. From the Castletown Bypass, look for our brown tourist signs and then turn down Milner Terrace (alongside S&S Motors), take the sharp left at the end of the road and you will see the sign for Craftworks Studio up ahead. Or from Castletown Square, look for Hope Street from the Harbour and proceed along to the end of the road where you will see our studio to your right.